Interpower Corporation has a full line of Interpower™ power system components including hospital-grade cordsets, medical power entry modules, power cords, medical power transformers, and power distribution units for the international marketplace. Visit our web site www.interpower.com and simply input any country to access information on the specific country’s voltages, frequencies and plug patterns. You can also specify information on our international cords and cordsets, IEC inlets and outlets, RFI filters, terminal blocks, fuses, cable, strain reliefs, transformers, international plugs, sockets, and socket strips. In addition, schematic files and spec sheets on our product line can be downloaded. We have no minimum order quantity and all items come from our factories in Iowa, USA. Power cords, cordsets, and particularly the plugs on cords are subject to special rules in North America, Denmark, Japan and Australia/New Zealand. Aside from these regions, power cords and cordsets for medical equipment throughout the world are no different than cords used for non-medical equipment in each market. North America, Japan, Denmark and Australia/New Zealand are the only areas of the world which recommend the use of a clear plug for medical applications. Interpower™ North American hospital-grade plugs, connectors, and receptacles carry the "green dot" signifying that they have been designed and tested for grounding reliability, assembly integrity, strength, and durability. Special medical requirements place significance on fusing and filtering when selecting components used in medical equipment. Patient-connected medical equipment can be subjected to low-leakage current requirements. The use of a low leakage filter in the 5µA range at 250VAC is desirable. In addition, fusing of both line and neutral connectors may be required (i.e. double fusing). Interpower Corporation offers a large variety of value-added services. We can also build cord sets and power cords to order. With rapid turn-around times and no minimum order requirements, we can solve many of your specialty cord and cord set needs. Whether it is 5 or 500 feet, Interpower Corporation can handle your request. Specify cable in continuous lengths, or have it cut into discreet lengths. We can provide special stripping on the bare ends and have the cable ready for assembly when it hits your dock. We can add any of a variety of cable terminations, such as ring terminals, spade terminals, ferrules, or quick disconnects, which are available in flag and straight styles. This service will prove particularly useful with larger, hard-to-handle cables, or more difficult-to-handle rubber jackets. Contact our Customer Service Department for more information. If time or labor is short, we can manufacture made-to-order power cords and cord sets. Our ISO 9001 Certified Manufacturing facility can build cords for a large range of requirements. If you are exporting products to multiple markets, power cords with varying plug styles may be required. We can supply the plugs, pre-assembled on the cable and ready to install for a large variety of equipment needs. 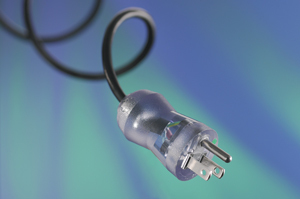 As with custom length cable, many different terminations are available, as well as a custom-stripping option on the bare end of the power cord. This allows a designer to call out a six-inch ground with three-inch leads, for example, and have a ring terminal ready to go on the ground when the cord is received. Most power cords are also available in different colors. If a finished cord set is more appropriate than a power cord, Interpower Corporation can still handle your request. As with power cords, we have a variety of plugs available and we can add the mating socket. The socket can also be replaced with a connector from the IEC 60320 family, such as the C13 or C19, if a more universal connector is desired. We can manufacture lengths from one foot and up. Again, many cord sets are available in a variety of colors. 100% of all Interpower power cords and cord sets are tested, to ensure only the highest quality products leave our doors. Don't forget our accessories: ferrules, crimping tools, ferrites, heat shrink tubing, cable terminations, cable ties, and packaging services. Special delivery? No problem. We offer the following custom cord labeling and packaging services. Special carton marking or labeling is also available. Call our Customer Service Department for a quotation on these services. Customize your cords with part numbers or special instructions. Wrap labels, shown on the gray cord, are laminated to protect from normal activities. Hot stamping directly onto the cable is another option and is shown on the black cord. When required, a Grounding Reliability label is available. Boxes can come labeled with contents and other special instructions. cords can be coiled or hanked. Multiple or single product bags are marked based on your requests. Resealable bags are also available. Interpower Corporation offers flexible shipping options for the Accessory Power Strips and other products.